This is the final instalment from my trip to Norfolk when I ended up at the RSPB reserve at Titchwell. Even though it was in the middle of January and it had been ferociously cold at 6.30am before the sun rose and warmed the earth, by midday it was a bright, sunny and warm day. Perfect conditions really for a trip to the coast to see the wildlife. The reserve at Titchwell consists of two fresh water lakes separated from the sea by a high dune. And to the west lies an expanse of scrubland which provides more space for wild birds and animals to exist unmolested. Consequently, and because of its location on the north Norfolk coast, it’s a very good place to see many water birds some of which can be rare sightings, such as the spoonbill. 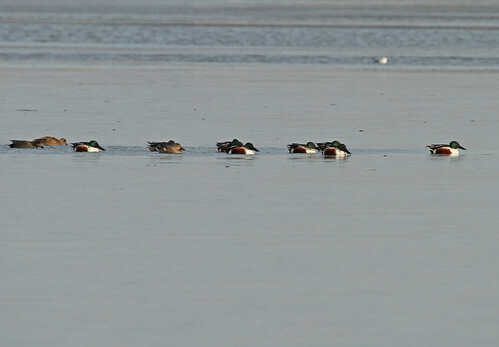 The teal is about half the size of the chunky shoveller and there are around 2000 pairs breeding here in the summer. I like etymology, so the collective noun for teal – a ‘spring‘ (because of they they rise en masse almost vertically when flushed) – is a fun one. 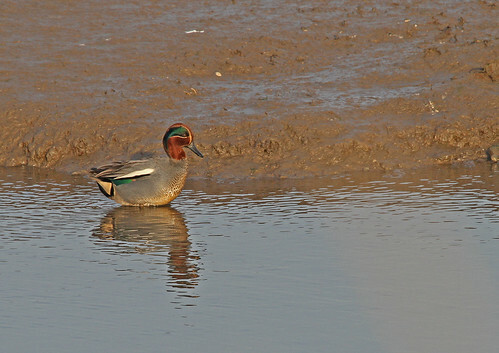 Both the teal and the shoveller, which has 700 breeding pairs in the UK, are amber listed. 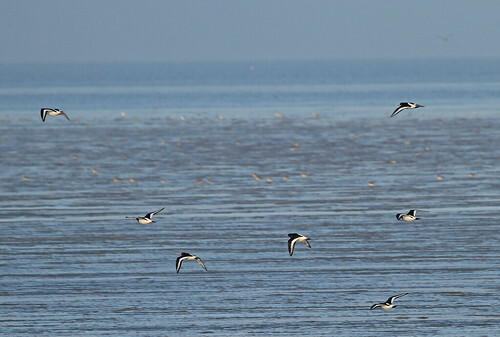 But a ray of hope for these threatened water birds is that huge areas on the east coast of England have been opened up to the sea and allowed to flood as a mitigation of the worse ravages of the effect on the oceans of climate change, and this will hopefully create homes for hundreds of thousands of resident birds and migrant vistors throughout the year. 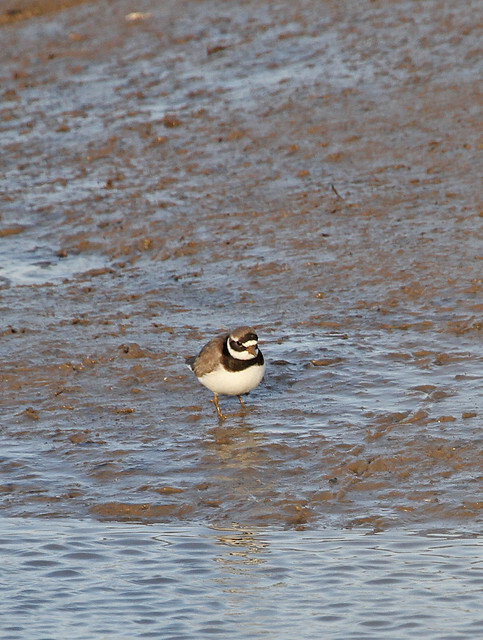 There are 110-180,000 pairs of ringed plover in Europe and around 4% of them breed in the UK, but the numbers and range of these have been steadily declining, so this species has earned red conservation status in the UK, although it is a species of least concern in Europe as a whole. Hopefully the new coastal habitats being created here will help to reverse this trend. 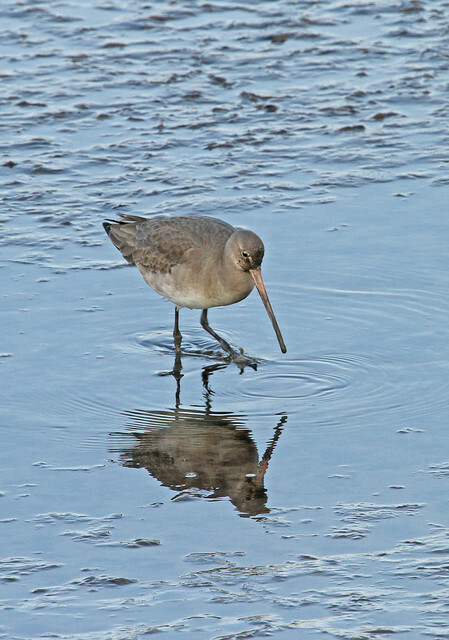 I really like the ripples and the reflections of the godwit in this image. 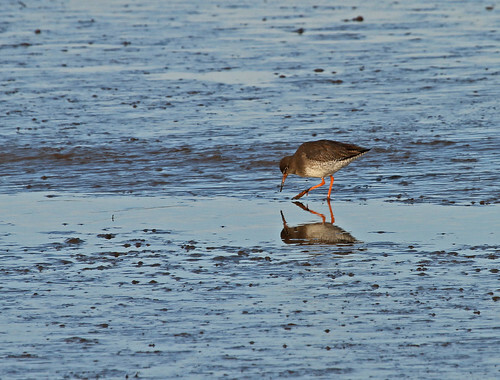 Another thing that I like about this collection of pictures is that it demonstrates the importance of mudflats for these birds to find the molluscs and crustaceans they need to refuel. It doesn’t make for the most interesting background for a wildlife portrait, unless there are some photogenic reflections, but I guess it focusses the eye on the subject! The knot is another of those truly magnificent creatures that breeds in the northern Arctic (a real feat of survival in it’s own right) and then migrates to its winter feeding grounds as far as south Africa, south America and Australia. And then a few months later they do the same journey in reverse. I wonder how many miles one of these little birds can cover in its whole lifetime – and all under it’s own steam? I can’t help but have immense respect for them! I wrote a couple of posts a while ago about a trip to the north Norfolk coast in the depths of winter, but I didn’t get round to completing the story. 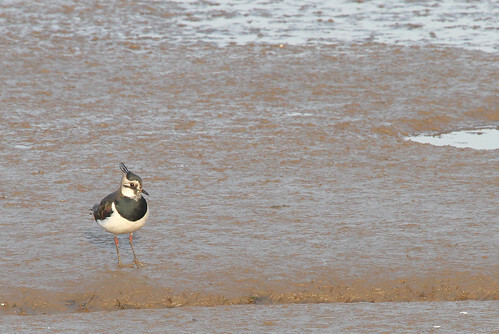 All the wader (‘shore birds’ in N.America) images in that post were taken on the beach at Snettisham, and as I was leaving there at around half past nine in the mornng to head along the coast a short hop to the RSPB reserve at Titchwell, the sun had risen and more birds were discernible on the previously invisible small lakes immediately behind the beach. 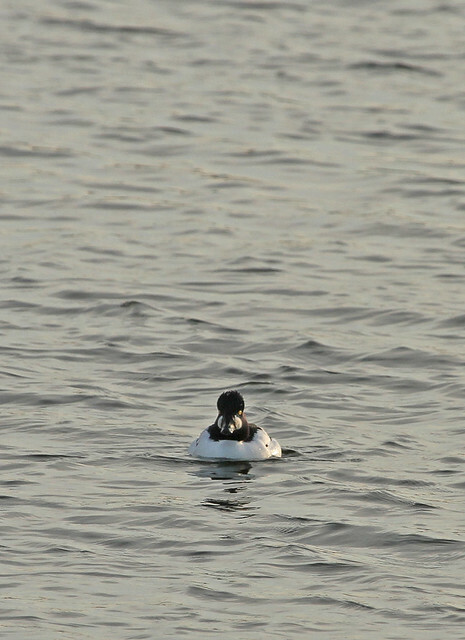 The goldeneye is a diving duck which has recently colonised Britain and there is an annual breeding population of around 200 pairs but it’s also a winter visitor when around 27,000 individuals arrive here to seek sustenance on lakes, rivers and tidal mudflats. Despite high expectations of seeing some of the 340,000 wintering UK oystercatchers their conservation status in the UK is amber, the European status is ‘vulnerable’ and globally they are ‘near threatened’ due to recent population decline. But there are still good numbers of them in the UK so I hope their numbers can be stabilised. 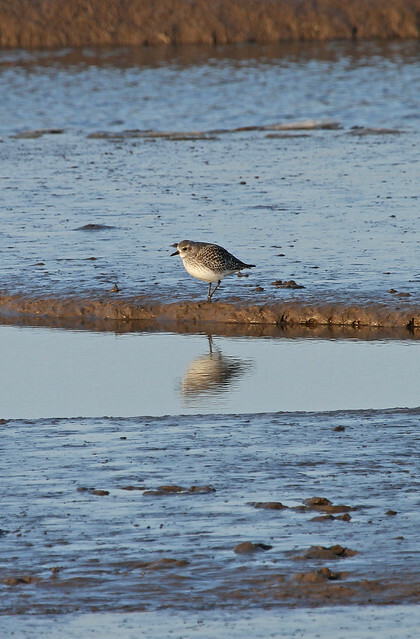 The grey plover is a truly global bird, it breeds on the Russian tundra and in northern North America but can be found as far afield as southern Asia, Africa and even Australia – it has a huge annual range! So it’s remarkable to think that this little guy came from Canada or northern Russia to feed on a Norfolk beach – and also that some of its relatives may be in Australia. 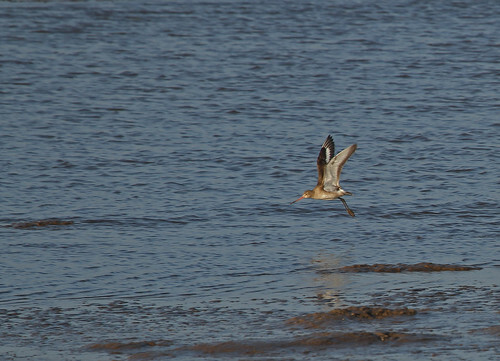 It seems that many of our birds are struggling, including the statuesque black tailed godwit which is faring even less well than the grey plover and is red listed in the UK. 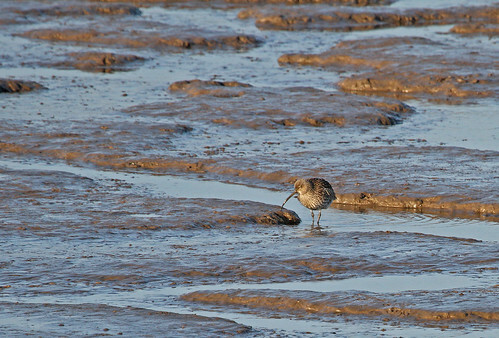 According to the BTO (British Trust for Ornithology) the taxonomic name derives from the Latin word ‘limus‘ meaning ‘mud‘. 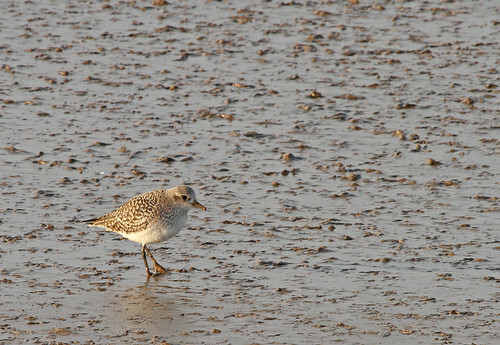 In order to name such a handsome bird ‘Muddy muddy‘ I can only imagine that particular taxonomist was having a bad day. It deserves better! 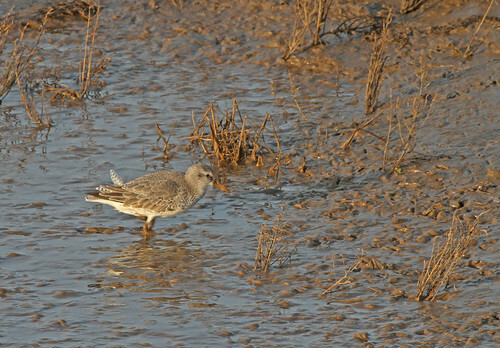 The black tailed godwit also breeds in the north and like the grey plover can also be found in southern Asia, South Africa and Australia. Another accomplished globe trotter. The largest European wader is the curlew which can be easily distinguished by it’s enormous downcurved beak and it’s equally unique call. 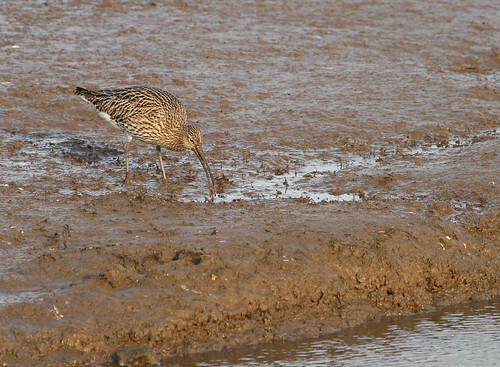 Alas for the curlew, it is also red listed in the UK with 66,000 pairs recorded by the BTO in the UK in summer 2009. Even though it’s numbers are declining it’s still not unusual to see one or more on an outing to the coast. 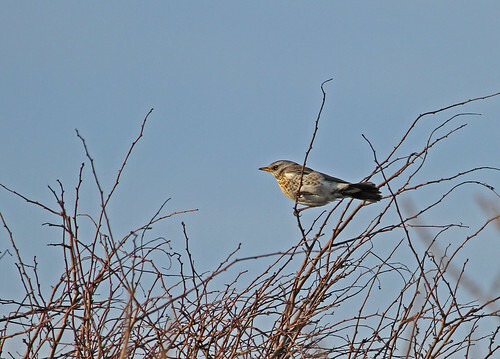 It’s pretty depressing to report that the fieldfare is also red listed, but fortunately this is a local UK phenomenon and it is a species of least concern in Europe and globally. It’s our most colourful thrush and visits the UK from Scandinavia in the winter when it can be seen in large flocks in fields and hedgerows, often mixed in with redwing – another Scandinavian thrush which overwinters in the comparatively warmer climes of the UK.